Don't Miss These Summer Activities When You Visit Our San Antonio Location! San Antonio is a great place to live and play and own a beautiful Palm Harbor home! Palm Harbor Homes has many great locations to visit. 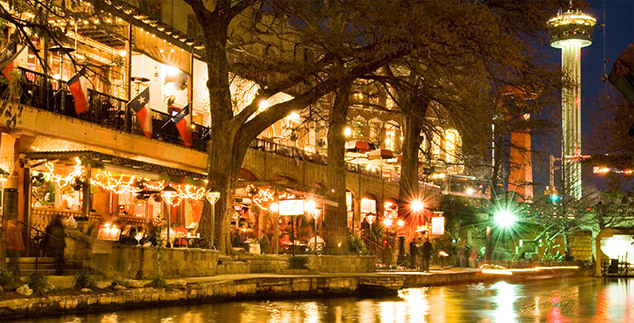 Our San Antonio location has a certain charm that can’t be beat! When you come to see our great manufactured and modular home floor plans, you can attend some of the great summer activities that San Antonio has to offer. Sponsored by the San Antonio Parks and Recreation department, this free event features music, food, and other entertainment celebrating our nation’s independence. A large fireworks show sponsored by H.E.B. is a great way to wrap up a day full of great BBQ and live music. Parking can get tricky, so make sure to check the website for additional parking and transportation recommendations. For over 22 years, this music festival has been a favorite among San Antonio’s jazz fans. Every Friday evening in July, you can sit outside in the outdoor amphitheater in Wonderland of the Americas and enjoy the great food offered by several vendors that attend the event. Come early and claim a good spot with a blanket and lawn chairs! The DoSeum is San Antonio’s newest educational destination for kids. This learning emporium boasts 65,000 square feet of incredible interactive exhibits including a robot, spy games, tree house, and even a Children’s river! So when you are visiting Palm Harbor Homes’ San Antonio location, make sure to stop by The DoSeum for an unforgettable experience for the whole family. There is a lot to do in addition to visiting Palm Harbor Homes’ San Antonio location. If you have questions about what manufactured or modular home is best for you, call Palm Harbor Homes. Dial 1-888-466-3718 for more information today!